The Opportunity The Angeletti Group invites nominations and applications for the position of President at Maria Regina High School (MRHS). The school seeks an engaging and inspirational leader to build upon its rich history of educating young women. The President will report directly to the Board of Trustees. She/he will be responsible for all external relations, fundraising, fiscal health, and day-to-day operations, as well as setting the overall vision for the school. Maria Regina High School is located in Hartsdale, New York, 20 miles north of Manhattan and served by Metro-North’s Harlem Line to Grand Central Terminal. This charming hamlet, which lies along the Bronx River, is home to one of the few working farms in lower Westchester and has several picturesque parks that host an array of walking trails. Maria Regina High School Maria Regina High School is an all-female Catholic, college preparatory school (grades 9 to 12), with an enrollment of 500 pupils. MRHS was founded in 1957 by the Sisters of the Resurrection as the first Archdiocesan girls’ high school in Westchester County. Since its beginning, Maria Regina has been committed to fostering academic excellence, inspiring spiritual development, and instilling a genuine sense of responsibility to the “greater good,” both across the community and beyond. The entire school program, whether it be the curriculum or the extra-curricular activities, is designed to challenge students to develop their intellectual potential, nurture their physical abilities, and strengthen their social skills. The school is accredited by the Board of Regents of the State of New York and offers Advanced Placement, college credit, and honors courses. It is the school’s mission to empower the students of Maria Regina to grow from young girls into women who have the skills and capacities to be faith-filled and exemplary leaders. The President of Maria Regina High School The President is the chief executive officer of Maria Regina High School and reports to the Board of Trustees. The next President must have a keen appreciation of the values and traditions of Catholic doctrine and moral teachings. The successful candidate must be a strategic and visionary thinker with a transparent, collaborative leadership style. She/he must be an articulate and inspiring communicator, a successful fundraiser, and a seasoned, responsible financial manager. The President is the chief spokesperson for the school, provides visible, personal leadership to the school community and articulates and promotes the school to all external constituencies. The successful candidate should have a strong record of intellectual and administrative accomplishments and a broad understanding of educational administrative leadership. Areas of Emphasis for the President The next President of Maria Regina High School must be a visionary leader who will embrace the character, values, and traditions of the Maria Regina community and the Catholic faith and carry them forward in new and exciting ways. Specifically, the President will: Serve as the CEO and act as Head of School, providing strategic direction and oversight of the school’s academics, spirituality, fiscal health, advancement opportunities, enrollment management, physical plant and supervisory operations. Ensure the Catholic mission of the school is developed and promoted among stakeholders including the Principal/faculty, admissions office, and college placement office. Collaborate with the Board of Trustees, Director of Advancement, and advancement staff to develop strategic relationships with a goal to secure increasing philanthropic revenues. Cultivate, solicit, and steward a portfolio of current and prospective alumnae and parent donors; create strategic action plans for top prospects with the intent of deepening relationships on behalf of the school, leading to increased comprehensive giving, including annual, capital, and deferred gifts. Strengthen the school’s external relations through programming, affinity groups, vibrant community relations, and constituent outreach to effectively message MRHS’s brand, values, and reputation for excellence across current and prospective stakeholders. Provide leadership in the cultivation and solicitation of key donors. Manage long-term planning for the school including institutional advancement, capital funding and facilities, and institutional resources. Serve as the primary liaison between the school and the Board of Trustees. Direct the process by which the school arrives at its statements of vision, mission, and philosophy; implements the process by which these are periodically reviewed. Ensure the fiscal health and viability of the school through sound financial stewardship and integrity. Prepare the annual school budget in collaboration with the finance committee and the Principal and supervise its implementation. Direct and oversee the completion of capital improvement projects, purchase of capital equipment. Qualifications & Preferences Master's degree and significant administrative leadership experience. Demonstrated commitment to and appreciation for Catholic, faith-based education. Passion for and commitment to MRHS’s faith-filled mission and Catholic values. Proven fundraising success, preferably in an academic setting. Demonstrated ability to foster a culture of collaboration among faculty and staff. Evidence of inspirational, entrepreneurial, and energetic leadership style. Enjoyment of interaction with members of the school’s community, including students, staff, faculty, alumnae, and parents. Evidence of an ability to analyze and utilize data to increase student achievement. Excellent written and oral communication skills. Substantial full-time teaching experience preferred. Willingness and availability to travel. Some evening and weekend work required. Volunteer Teach in Honduras 2019 - 2020 (room & board included) BECA’s mission is to provide quality bilingual education to the educationally disenfranchised while fostering meaningful cultural exchange. Our model is built on a partnership between Hondurans committed to quality, progressive education and international volunteers interested in a truly meaningful cultural collaboration. BECA recruits English-speaking volunteers to fill teaching positions at our three unique bilingual schools in Honduras. The Classroom Teacher is a team member who plays an integral role in the bilingual education of our students. The highlight of this job is the genuine nature of the experience: leading a classroom of 25 students, supporting fellow teachers in the classroom, getting to know your students and their families and immersing oneself in Honduran culture. Please note that applicants need not be certified teachers or fluent Spanish speakers. Currently, we are recruiting volunteer teachers for our bilingual (Catholic) school located at Amigos de Jesus Bilingual School (ADJ) ADJ is located in the beautiful countryside, about an hour from San Pedro Sula, the business capital of Honduras. What makes ADJ so special is that it is not just a bilingual school (with a soccer field, of course! ), it is a children's home for more than 135 neglected/abandoned children. Under a strong Catholic faith, the children are loved by all, knowing that they have a forever home. ADJ is a self-sustainable community with its own Catholic chapel, lumber mill, family-style homes, farm animals, and robust vegetable gardens. Our ADJ volunteers live and work on-site at ADJ. While volunteers do not have to be of any faith or religion to teach there, the community is one grounded in the Catholic faith. When BECA volunteers teach at ADJ, they never want to leave. It is an incredibly spiritual and truly beautiful community. Benefits: Travel stipends are available on a case-by-case basis as well as needs-based scholarships to ensure that anyone who wants to make this commitment can do so. There is no fee to volunteer with us and applicants need not be certified teachers or fluent Spanish speakers. BECA provides shared living accommodation; a daily food stipend, temporary residency status, 6-week Intensive Summer Teaching Training, ongoing teacher support, and professional development opportunities. Volunteers are responsible for their flights to Honduras, health insurance to cover them while they are in country, and background check costs. If you are interested in learning more and applying for this position, please click the APPLY NOW button below. Thanks, and God bless!! 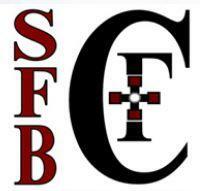 Director of Discipleship and Apostolate St. Francis Borgia Catholic Church, a vibrant parish of over 1800 families in scenic Cedarburg Wisconsin, just 20 miles north of Milwaukee, is seeking a talented, dynamic, deeply faith-filled individual to lead its music ministry. The parish has a deep faith history dating back to the 1800's that continues today. The Director of Discipleship and Apostolate is charged with forming St. Francis Borgia parishioners to seek holiness in their lives and to engage in the lay apostolate. This will be carried out primarily through relational ministry and working with the pastor to implement institutional structures around the themes of discipleship and personal apostolate. This is a full-time position. Responsibilities : Formation Small Groups: groups consisting of parishioners committed to entering a period of formation through spirit-filled discussion, prayer, and group study. The end result of the group is each member forming a commitment to lead a small group or to take on a personal apostolate. The Director of Discipleship and Apostolate is responsible for recruitment, training, and on-going support of these leaders. Parish Small Groups: the Director of Discipleship and Apostolate will serve as a resource for small group leaders and a connecting point between small group leaders and the parish at large. Large Group Formation: intellectual, spiritual, and communal opportunities geared specifically to assist lay people in living out their vocations in the world. The Director of Discipleship and Apostolate assists the pastor or volunteers in coordinating and planning large group formation. Whole Parish Formation: forming, disseminating, and revising methods of assisting the whole parish in committing to live out the lay vocation. The Director of Discipleship and Apostolate works with the pastor and key volunteers to carry out this task. Evangelization: motivating and training parishioners to engage in evangelizing the community at large. This could include implementation of evangelization events for or in the community. RCIA and Adult Confirmation: oversees the RCIA/Adult Confirmation Team and works on continual improvement of the program and outreach for new candidates. Other Duties As Assigned Id eal Qualifications Education: Bachelor of Arts degree in Religious Studies, Theology, Religious Education, or other similar degree preferred Preferred Experience: 3-5 years in Catholic parish ministry, or other Catholic ministry setting Work in discipleship programming development Successful implementation of evangelization initiatives in a parish or ministry setting Personal Aptitude: Possesses a healthy spiritual maturity and commitment to spiritual growth. Actively participates in the work of the Catholic Church and is able to partake in the full sacramental life of the Church. Possesses the capacity to work effectively with a wide variety of people, exhibiting maturity, tact and understanding; relating well to the pastor, parish staff, volunteers, parishioners, and the general public. Demonstrates or possesses the ability to assess needs, plan, organize, implement, direct and evaluate programs. Demonstrates the ability to articulate the parish vision and motivate people to respond to it. If you are qualified and interested in this position, please click the APPLY NOW button below and provide a Cover Letter, Resume and References. Thanks and God bless! Extended Day and Holiday Programs Position GENERAL DUTIES: The Extended Day & Auxiliary Program Manager develops, implements, and oversees revenue generating school programs, including rentals, extended day, and summer programs. The Extended Day & Auxiliary Program Manager is a temporary role starting immediately. REPORTS TO: Director of Finance & Human Resources & Lower School Principal SPECIFIC DUTIES: Responsibilities: Organizes and leads day to day operations of Extended Day and Holiday Programs, including creating staffing schedule and managing staff Supports Lower School duties and classes as needed W Works with school leadership to build and implement existing programs that support the school’s mission (i.e. Extended Day, Summer Skippers, STEAM Camp, etc.) Works with program partners for overall program development (i.e. Lavner) Ensure program participants have a safe and positive experience Creates and develops new ideas to keep the programs fresh, unique, and competitive Communicates with parents to cultivate goodwill and address concerns Works with marketing committee to promote enrollment in all programs Oversees program budgets and evaluates programs annually to measure success Administrative: Hires, trains, and evaluates staff for all programs, using current job descriptions Oversees registration for all programs Oversees time sheets of staff and forwards to Human Resources for payment Manages transportation schedule for all summer events Forwards reports of any accidents or incidents to Human Resources Keeps needed insurance and other certifications current Purchases supplies for all programs and forwards all purchase orders and/or deposits to Finance Office Communicates and cooperates with Finance Office regarding fees and for all programs Other duties as assigned Work Ethic: Maintains confidentiality at all times Attends all required meetings and willing to perform all other duties as assigned Contributes by personal example to an atmosphere of faith commitment in a manner consistent with Catholic values and our founder St. Angela Merici Respects, cooperates, and maintains a positive attitude with colleag EDUCATION: Bachelor’s Degree required EXPERIENCE: Excellent oral and written communication skills Experience running a school program COMPETENCIES NEEDED: The employee will need to be proficient in computer technology, highly motivated, and creative person with strong management and multi-tasking abilities, who also possessing strong marketing and communication skills. The ability to make presentations before groups and planning/managing projects is required. PHYSICAL DEMANDS: The position requires frequent walking, standing, bending, talking, and lifting of up to 25 pounds as a regular part of the job. Specific vision ability required including close, distance, peripheral vision, and ability to adjust focus. Reasonable accommodations may be made to enable individuals with disabilities to perform the essential functions. WORK ENVIRONMENT: The noise level in the work environment is moderate. The employee may be exposed to possible extreme weather conditions and infectious diseases. While performing the duties of this job the employee will occasionally be exposed to weather conditions of extreme cold and or extreme heat. If you are interested in this position, please click the APPLY NOW button below. Please put “Extended Day and Holiday Programs Position” in the Subject line of your email. For the 2019 - 2020 school year, our one-year teaching commitment begins in July 2019 and ends in June 2020. Teachers have a holiday break from approximately Dec. 20 until Jan. 6. All selected volunteer teachers are assigned to an elementary classroom, a middle school classroom, or a resource teacher role. BECA interviewers will explain the differences between the three positions in detail, but for now we have listed the general responsibilities required of all teachers. GENERAL RESPONSIBILITIES Facilitate relationships with parents and other community members Lesson-plan and teach in English all subject areas with the exception of Español and Estudios Sociales Foster a safe and productive classroom environment for students Serve as a Lunch/Recess monitor Support your fellow teachers in school and at home Serve as an ambassador for BECA by helping to spread the word about our work through your various networks ADMINISTRATIVE DUTIES Maintain attendance records for all students in your homeroom File a copy of your weekly lesson plans Provide the Administration with a copy of your weekly class schedule Sign Attendance Book upon entering/leaving school each day (required by law) Ensure classroom is ready for students at beginning of each school day Attend all teacher meetings Keep the Administration informed of any problems or concerns (disciplinary or otherwise) you are having with students Keep student files updated with the necessary information Keep the office informed of extended absences of students EXAM ADMINISTRATION RESPONSIBILITIES Grade exams Collect performance grades from other teachers and prepare Bimester report cards Fill out electronic and hard-copy versions of grading spreadsheet OTHER RESPONSIBILITIES Plan and organize extracurricular activities for students Attend Association of Parents Meetings (at discretion of Administrator) Participate in fundraising efforts to support BECA's program costs SKILLS & QUALIFICATIONS A commitment to BECA's mission and a dedication to social justice Fluency in English Strong interpersonal and cross-cultural skills Capacity to manage multiple taks simultaneously Willingness to operate in a low-resource environment under challenging living conditions While BECA asks for a one year commitment from our volunteer teachers, we actively encourage teachers to consider returning following their initial year with us. BECA recognizes that there are huge benefits to teachers returning for a second year. Returning teachers are much more effective in the classroom thanks to their previous year's experience. Just as importantly for a community school model like ours, returners serve as a bridge between new teachers and the community, helping new team members adapt to their roles much more quickly than they otherwise would. Second-year teachers are offered a monthly stipend, which is designed to cover all out-of-pocket expenses that a volunteer might incur during their time with BECA. If you are interested in learning more and applying for this position, please click the APPLY NOW button below. Thanks, and God bless!! Blessed Sacrament School , located in Savannah, Georgia, is seeking an energetic, exemplary, and passionate full-time middle school teacher math teacher who desires to work in a supportive faith community. The ideal candidate will have experience in the teaching of mathematics in middle school at the levels of general mathematics, pre-algebra, and algebra. He or she will be experienced in promoting instructional engagement through stimulating presentations, active participation, assessment and techniques that ensure mastery of content. Classroom management through established expectations and routines are critical to an effective learning environment. This candidate must have an understanding of the nature and needs of an adolescent between the ages of 11 and 14 and enjoy working with and nurturing the student’s intellectual, social, emotional, and ethical development. An exceptional candidate embodies the following traits: Excellent communication skills Professional demeanor and positive attitude Able to complete assignments, grades, and assessments in a timely manner Exceptional classroom management Use data-driven instruction to set goals, action plans, and task appropriate instruction Able to cooperate, contribute, and participate effectively in team meetings Develop and maintain a positive learning environment Participate in professional growth and development as a continuous learner Preferred (but not required) technology skills with Google Classroom, RenWeb, etc. Website: http://bss-savannah.org/ For further information: Call (912)356-6987 or email Lynn Brown (principal) at lcbrown@bss-savannah.org . How to apply: Fax (912)356-6988 or email resume to lcbrown@bss-savannah.org . We seek approximately 10 Summer Camp Counselors for Summer Camp 2019 (approximately June 27 - July 20, 2019) for children in grades 1-5. The camp is structured to provide our students with opportunities to remain immersed in the English language over the summer through fun games and activities - making the transition back to classes in August less difficult and preventing summer learning loss. RESPONSIBILITIES Plan, execute, and document daily activities for students in a collaborative environment Make summer camp a fun way for students to maintain/increase their English language ability Work together to plan activities across disciplines including art, reading and writing, and physical activity SKILLS & QUALIFICATIONS A commitment to BECA’s mission and a dedication to social justice Fluency in English Experience working with children (preferred) Willingness to operate and be creative in a low-resource environment Foundational knowledge of Spanish (not required but helpful) Because the Summer Camp is a supplemental program, BECA recoups the program's expenses through donations paid by Summer Camp Counselors who wish to participate. In exchange for this experience, we ask that you contribute or fundraise $1,000 for the BECA program to help defray costs (food, accommodation, training, materials, and a high speed internet connection). A reduced contribution may be available for college students with demonstrated need. For current college students, please note that volunteers in the past have successfully applied for on-campus grant monies to cover this expense and travel. We encourage you to explore what opportunities your college offers to subsidize summer experiences. Please contact us if you have any questions; we will try to help you in any way possible. If you are interested in learning more and applying for this position, please click the APPLY NOW button below. Thanks, and God bless!! A Program Administrator is an in-country team member who is crucial to the operation of BECA’s partnership model. At each of BECA’s three school sites, one Program Administrator is hired to play a key leadership role within the school both on behalf of the volunteer team and on behalf of the Honduran School Director and our Partner. The primary role of the Program Admin is to work as a liason between BECA volunteer teachers and the Honduran staff at the school both in logistical matters like calendar and staff meetings and in cultural matters like assisting with event-planning for school holidays and supporting collaboration between a culturally-diverse staff. Additionally, the Program Administrator is responsible for overseeing and running the school scholarship (Becado) program, which helps provide access to high quality bilingual education to families from a wide variety of economic backgrounds within the community. For these reasons, the Program Administrator must be fluent in both Spanish and English, and feel comfortable speaking publicly, engaging in school board meetings, and having professional conversations with parents, teachers, and other staff in both languages. RESPONSIBILITIES Serve as administrative leader and BECA representative at the school Ensure that volunteers perform duties in a goal-oriented, culturally sensitive way, and that they act in a way that is consistent with BECA's mission Maintain regular communication with our volunteer teachers, the Honduran School Director, and our partners to support clear communication channels and growth of the school and its programs Oversee and direct Becado (student-scholarship) Program by organizing the point system and arranging systems for on-going communication and planning with involved parents Work in coordination with the Honduran School Director to implement the school-wide discipline protocol, build teacher schedules, organize duties, coordinate school events, and plan monthly Staff Meetings Attend all discipline meetings Handle parent complaints and comments Coordinate with fellow Program Administrators to collaborate and share best practices between schools Communicate regularly with the In-Country Director to ensure needed supports are in place and to monitor the condition and quality of our programs Report directly to the In-Country Director and maintain open communication with BECA Staff If you are interested in learning more and applying for this position, please click the APPLY NOW button below. Thanks, and God bless!! Live in harmony united in one heart and one will. -St. Angela Merici Since our founding in 1893, Ursuline Academy has been dedicated to educating young women in the spirit of St. Angela Merici. We are an independent, Catholic school community that empowers students for leadership and service in our global society. JOB TITLE: Lower & Middle School Physical Education/Health Teacher & LS/MS Athletic Coordinator DEPARTMENT: LS/MS Athletics GENERAL DUTIES: A teacher in the Lower School works in a team atmosphere - planning and cooperating with all colleagues and administration toward a common goal: to effectively assist young women and gentlemen to reach their potential in the academic disciplines of the Academy, and in emotional and social competence. The primary function of the Athletic Coordinator is to manage and oversee the Lower and Middle School interscholastic athletic program. REPORTS TO: Lower School & Middle School Principals for teaching duties Athletic Director for athletics program SPECIFIC DUTIES: Communication: Meets and instructs assigned classes in the locations and at the times designated Develops and maintains a safe and inviting classroom environment conducive to effective learning Prepares for assigned classes, shows written evidence of planning, and shows evidence of many types of assessment for evaluating the students Encourages students to set and maintain standards of classroom behavior; models desired behavior Employs a variety of instructional strategies Evaluates student progress continuously using both formative and summative assessments Assists in upholding and enforcing Academy rules Cooperates with other members of the staff in planning instructional goals and objectives Works collaboratively with colleagues to coordinate activities as assigned Uses email, phone, parent conferences, or RaiderNet to communicate concerns with parents about grades or behavior Uses various strategies to address numerous learning styles and needs of students Administrative: Takes all necessary and reasonable precautions to protect students, equipment, materials, and facilities Maintains accurate and complete records Establishes and maintains cooperative relations with others Attends the following activities/events during the school year: faculty meetings, back-to-school night, faculty professional days, faculty work week, Monday morning prayer, moving up, open houses, parent conferences, peprallies, assemblies, liturgies, retreats, meetings, special events, and willingly performs assigned duties Strives to become exemplary in best practices in education which are set forth in the written observation/evaluation forms Athletics: Oversee athletic registration process and coordinates the rosters and tryouts Format, manage, and update website for LS/MS sports Market and publicize season sign-ups and events for LS/MS sports Review and determine eligibility of each student athlete according to LS/MS, CYM, and DIAA standards Coordinate gym use and athletic field for practices and games with AD Coordinate coaches to help with the athletic program Assist in the selection of coaches for the athletic program Act as resource person and coordinator for all coaches Coordinate supervision at home athletic contests Mediate the resolution of problems, issues, and concerns that may arise during athletic programs Order post season awards for each program Administer the school athletic code in a fair and consistent manner that is within the intent of the code Manage uniforms, equipment, and LS/MS sports award night Business Affairs: Manage budget and supervise equipment inventories Evaluate all athletic programs on an annual basis Complete an evaluation of the sports season Work Ethics: Maintain confidentiality at all times regarding the Ursuline community Attend all required meetings and willing to perform all other duties as assigned Contribute by personal example to an atmosphere of faith commitment in a manner consistent with Catholic values and our founder, St. Angela Merici Respect, cooperate, and maintain a positive attitude with colleagues (faculty and staff), students, parents, and alumnae while exemplifying Ursuline’s core values EDUCATION: BA or BS EXPERIENCE: Completion of student teaching; 3-5 years of experience preferred Good interpersonal skills and knowledge of athletics COMPETENCIES NEEDED: The understanding of integration of technology in the classroom is required. The skills required to perform multiple technical tasks with periodical upgrade skills in order to meet changing job conditions. The ability to make presentations before groups is required and planning and managing projects. The employee will be required to prioritize, analyze situations to define issues, and draw conclusions and schedule accordingly. Position requires a working knowledge of CYM rules and regulations; good organizational and communication skills; and ability to work cooperatively with others. PHYSICAL DEMANDS: The position requires frequent walking, standing, bending, talking, and lifting of up to 25 pounds as a regular part of the job. Specific vision ability required including close, distance, peripheral vision, and ability to adjust focus. Reasonable accommodations may be made to enable individuals with disabilities to perform the essential functions. WORK ENVIRONMENT: The noise level in the work environment is high. The employee may be exposed to possible extreme weather conditions, and infectious diseases. While performing the duties of this job the employee will occasionally be exposed to weather conditions of extreme cold and or extreme heat. If you are interested in this position, please click the APPLY NOW button below. Job Summary: We are looking for a committed teacher to work with our mental and behavioral health patients, that will complement our qualified mental health treatment team. The teacher will be responsible for tutoring patients in their online academic curriculum (i.e. K12.com, Edgenuity.com), supervising the school room, assisting in handling behavioral crisis’s along with the rest of the team, and creating academic progress reports for the parents. It will be fundamental to provide knowledge and instruction to patients while also helping them develop their personalities and skills. The ideal candidate will be passionate for the job with an ability to reach out to patients and create a relationship of mutual trust. They will know how to organize a class and make learning an easy and meaningful process. The goal is to help cultivate the patients interest in education, to develop and improve social skills in the classroom and be their dedicated ally in the entire process of learning and development. Demonstrates Competency in the Following Areas: Provide individualized instruction to each patient by promoting interactive learning, understanding that patients have different learning styles and mental health issues that are impacting their education. Oversee each patients’ individualized academic curriculum to continue the patients’ academic needs while in residential treatment. Create and distribute educational content as needed (notes, summaries, assignments etc.) Assess and record patients’ progress and provide grades and feedback Maintain a tidy, orderly and safe classroom Collaborate with other teachers, parents and staff members and participate in regular meetings Plan and execute educational in-class and outdoor activities and events Observe and understand patient’s behavior and psyche and report suspicions of neglect, abuse etc. Create and reinforce classroom rules Speak clear and concise to patients, other members of the treatment team, parents and administration officials. Professional Requirements: Licensed in any state as a teacher. Adheres to dress code; appearance is neat and clean. Completes annual education requirements. Maintains regulatory requirements. Maintains patient confidentiality at all times. Reports to work on time and as scheduled, completes work within designated time. Attends at least 12 staff meetings annually, reads and returns all monthly staff meeting minutes. Represents the organization in a positive and professional manner. Actively participates in performance improvement and continuous quality improvement (CQI) activities. Complies with all organizational policies regarding ethical business practices. Communicates the mission, ethics and goals of the facility, as well as the focus statement of the department. If you are Qualified and interested in this position, please click the APPLY NOW button below and submit your resume, a cover letter and list of references. Thanks You and God bless!